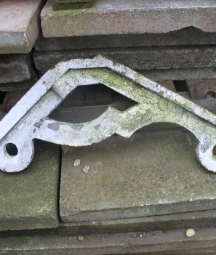 Brackets and corbels perform a function - they hold something up; anything from a shelf to a roof structure, usually tying the horizontal or diagonal to the vertical. 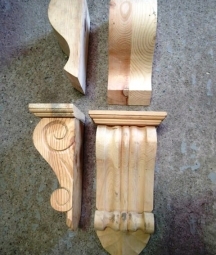 Since classical times, corbels and brackets have also had a decorative function. 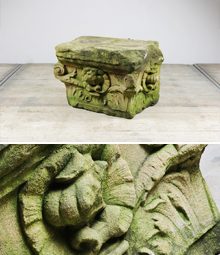 Look in a typical Norman church in Britain and you will invariably see a myriad of carved stone corbels supporting roof beams, or either side of doorways. 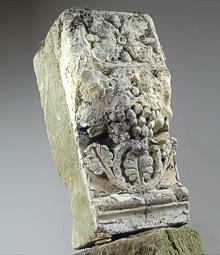 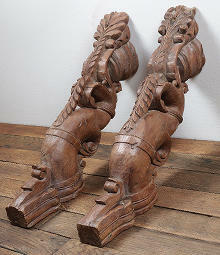 All manner of decoration can be found on these corbels, from stylised flower patterns to carved heads and grotesques. 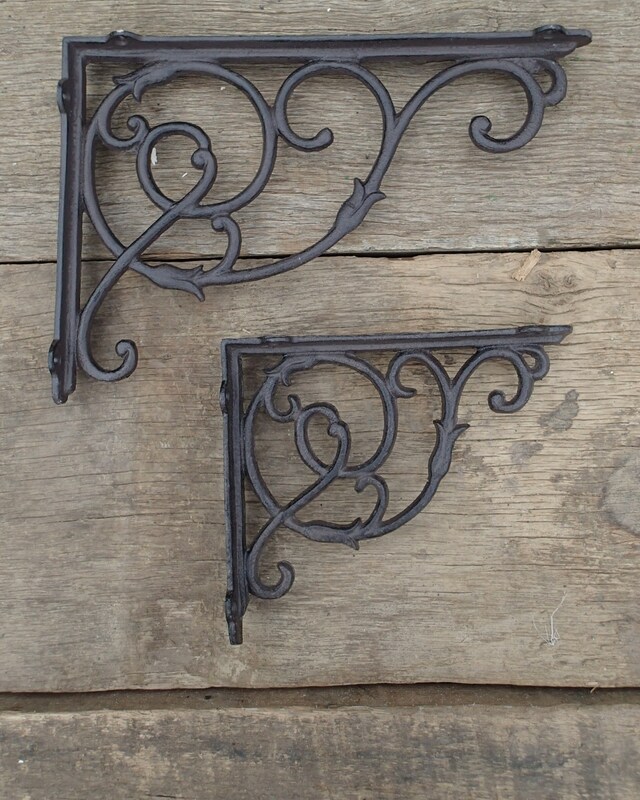 The Victorians were particular proponents of the decorative bracket. 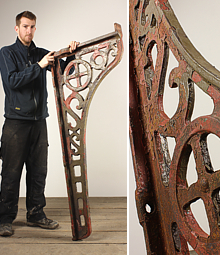 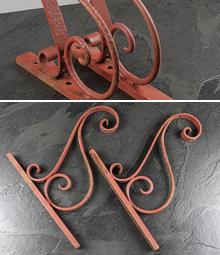 When ironmaking was at its height in the 19th Century, huge numbers of decorative cast iron brackets were produced, ranging from small cherub brackets for holding a loo cistern, to massive ornate brackets for holding up bridges or station platforms. 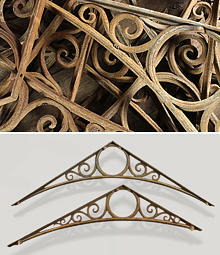 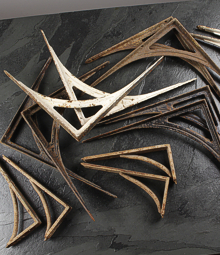 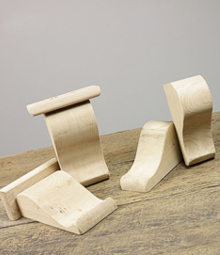 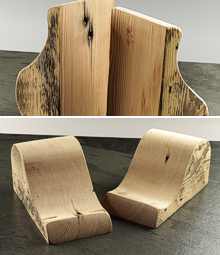 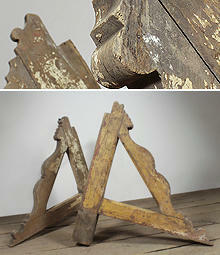 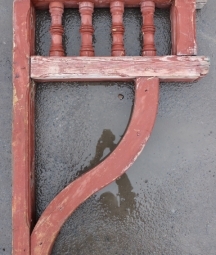 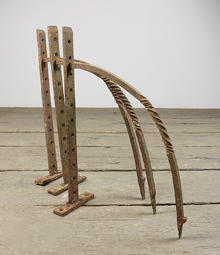 We sell a fantastic range of reclaimed and antique corbels and brackets. 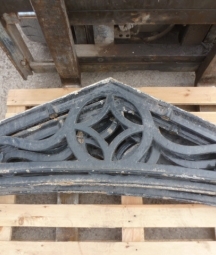 We often have medieval stone heads, saved from demolished churches or grand homes; simple 18th and 19th Century carved stone or timber corbels for holding ceiling beams; reclaimed large cast iron brackets from railway stations or other large public buildings; carved wooden porch brackets and a good range of old and reproduction decorative shelf brackets in cast iron, brass and wood.